Try something new tonight and replace the rice in your dinner with quinoa. 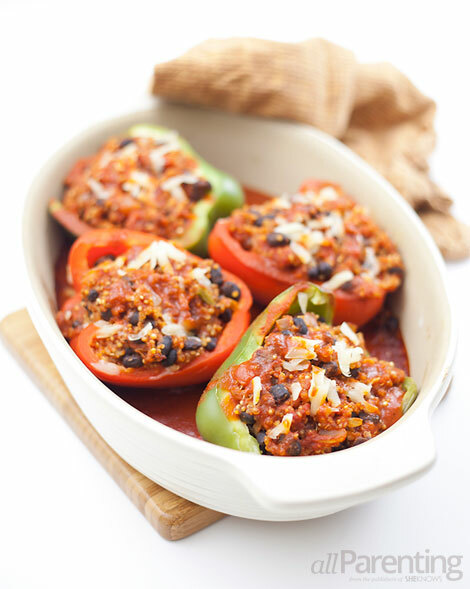 A healthy protein-packed grain, it's delicious mixed with black beans and stuffed inside colorful bell peppers. Topped with enchilada sauce, this is a meal that will leave you feeling fully satisfied. If you're tired of eating rice for dinner, give this Spanish-style quinoa and black bean recipe a try. Stuffed inside bell peppers and topped with enchilada sauce, it's a healthy and filling meal! Heat olive oil in a large skillet over medium heat. Add the onions and sauté until they are soft and translucent. Stir in the garlic and sauté until golden brown, about 30 seconds to 1 minute. Add quinoa, stir and let toast for 2 to 3 minutes. Add tomato sauce, vegetable broth and spices. Stir to combine and let it cook until the mixture starts to bubble. Cover the pan with a lid, reduce the heat to low and let simmer for 15 minutes. While the quinoa is cooking, preheat the oven to 350 degrees F. Wash the bell peppers, remove the tops and seeds and cut in half vertically. Rinse the bell peppers 1 more time to remove any seeds still inside. 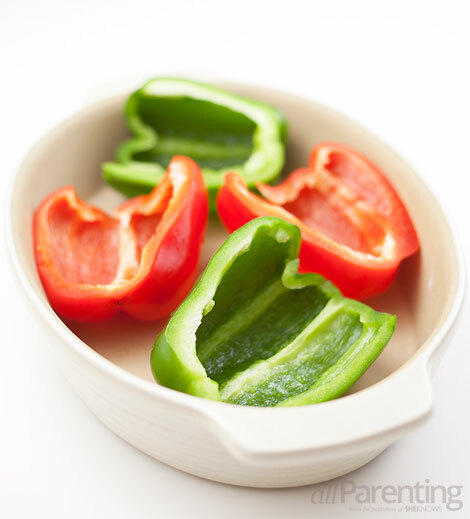 Place the peppers in a baking dish and set aside. After the quinoa is done cooking, let it cool for 5 minutes, remove the lid and stir the quinoa with a fork. Stir the black beans into the quinoa. Using a spoon, fill each bell pepper half with the quinoa bean mixture. Top the peppers with enchilada sauce, cover the baking pan with foil and bake for 35 to 40 minutes, or until peppers are soft when poked with a fork (the time can be adjusted depending on how soft/crispy you like your peppers). Remove the foil, top the stuffed bell peppers with cheese and transfer to plates. Top with remaining garnishes and serve. NOte^ Skip the cheese on top if you want to make these stuffed bell peppers vegan. Hungry? Scroll through our delicious recipes!